This performance task can be edited to fit the country of your need. 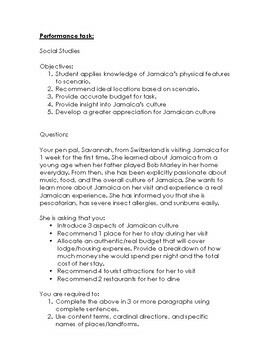 It calls on students' ability to create a budget, use cardinal directions to describe the location of places, physical features, and essay writing skills. In this you will receive the pdf and word version.